Aesop knew that if you had a point to make, the best way to get it to stick in someone’s mind is to wrap it up in a good yarn. So while you won’t often hear someone say, ‘Dogged focus is a better way to achieve a goal than inconsistent effort coupled with overconfidence,’ we’ll still use the analogy of The Tortoise and The Hare. The power of making a point through storytelling is why phrases like ‘sour grapes’ or ‘killing the goose that laid the golden egg’ are alive and well in our culture, despite being over two and half thousand years old. 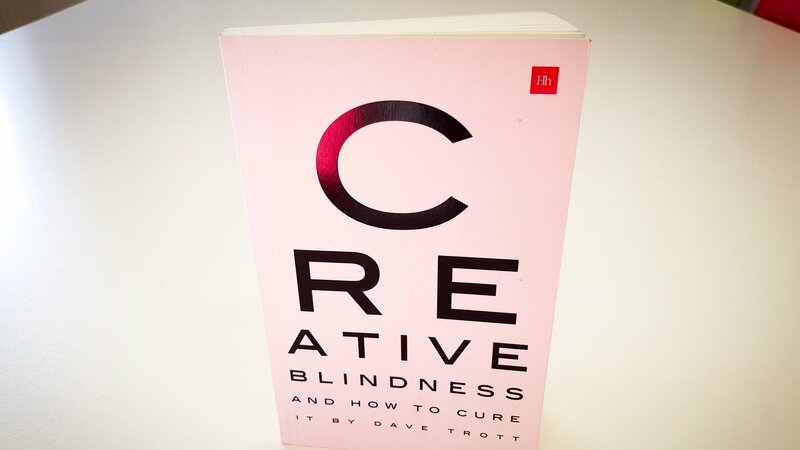 If you had to give someone the moniker the Aesop of advertising, it would undoubtedly be Dave Trott. Through stories of racing drivers, Roman rulers, profane parrots and mine-clearing rats, he illuminates the fundamentals of advertising, shows how to spot creativity and pushes people to look for it outside of the confines of the marketing world. 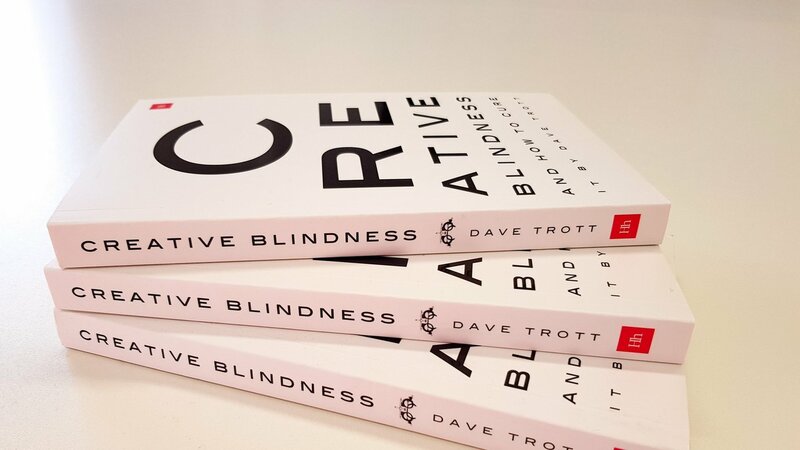 Ahead of the publication of his fourth book, Creative Blindness, Alex Jenkins caught up with Trott to find out what makes a great client, how people can develop their creative muscle, and why anyone looking for peer approval needs to take it to the street. Your books have a lot of examples of creativity that aren’t advertising. Do you think that people in the industry have too narrow a focus or definition when it comes to creativity? I don't think they're really looking for creativity. They're looking for style and calling it creativity. And it's kind of like fake news, in that it's got very little to do with the truth. Every agency claims to be creative and all you’ve got to do is look at their work, and you can clearly see that they are not remotely creative. A client who knows nothing about creativity might believe you if they see it checked off on their list of things on the agency website. They won’t know the difference. But if clients begin to know what it is and begin to spot it and begin to demand it, then agencies will have to do it. Everybody has to begin to exercise their creative muscle by looking for creativity and judging it – in all areas, in architecture, in business, in sport. Staying with that idea of needing to look outside the industry for inspiration, you write a lot about needing to ‘talk to people in their language’ and ‘do something that works for them [people]… forget about what works for us’. Is that something you see lacking in advertising? What I like is when you talk to people, find out what their language is and talk to them in it. But we don’t want to do that because it’s a bit cheesy. So we want to talk to them in another language, we want to talk to them in the language that we like, that we’re proud of. I worked for [legendary UK creative director] John Webster for 10 years, and John was the best we ever had in this country. And when he’d written a script that he loved, he’d either call in Pat the tea lady, or Arthur the caretaker, or George the van driver, and he’d read them his script. He hasn’t got on the phone to David Abbott or Charlie Saatchi, or any of the guys who are on his level. He’s not really interested in what anyone in advertising thinks. He wants to know what Pat the tea lady, George the van driver, or Arthur the caretaker thinks. That’s what I aspire to, the way John was doing it. Most people want approval from their peers. What Webster wanted was approval from the streets. It’s a bigger game but it’s a scarier game because you don’t get approval from your peers. We talk to a lot of brands and agencies that have a genuine aspiration for their teams to be more creative, but are struggling to get there. Why do you think that is? The tough thing about creativity is that there isn’t a rule for it. When you see these books that say ‘The 10 Rules of Creativity’ – don’t be a mug. If there are 10 rules to it and you can learn them, then how can it possibly be creative? The point about creativity is you’ve got to create it again every time. That’s why it’s hard and that’s why it’s surprising. You’ve got to create it from nowhere. You can’t just copy 10 rules. But the mind is lazy and the mind doesn’t want hard work. And coming up with something fresh is hard work. It’s much easier to learn 10 rules so you can go on autopilot. Now there’s nothing wrong with that but it isn’t creative. My irritation is always people’s lack of inquisitiveness. You want to stop there and not go any further. It’s like it’s just too much work to think. So how do you personally define creativity? Helmut Krone [the pioneering Doyle Dane Bernbach art director] said, ‘If you can look at something and say “I like it,” then it isn’t new.’ If you can look at something and immediately say you like it, then it’s just a slight restyling of what you’ve seen before. For it to be really creative, it has to be challenging and that means it’s got to shock you out of what you expected. Creative isn’t a noun. So although they call it the ‘creative department’, in advertising it really isn’t the creative department. It’s the copyrighting and art-directing department. And most of what comes out of there isn’t very creative at all. It might be stylish, but it isn’t very creative. It’s not a department you work in that’s creative, it’s the way you do your job that’s breathtakingly creative. You’ve seen the inside of a few agencies over the years. How would you characterise the state of the industry at the moment? It’s pretty tired and dull, and pretty cynical, which is unhealthy. It’s cynical in as much as I think pretty much everybody accepts that it isn’t working and that nothing’s exciting. So consequently, all anybody does is assume you go for awards. There’s no one who wants to come in and challenge the status quo. It’s all very obedient to the status quo and consequently, all very dull and all very establishment. Flipping that around – what makes you optimistic about the future of industry? It’s become about as boring as it’s possible to get. Usually when that happens it’s a sign that something exciting, and fresh and outrageous is going to happen. And when I say outrageous what I mean is you can tell it’s good because nobody likes it and it starts to get into trouble and everybody’s complaining about it. And that’s when it’s great and fresh. Nowadays if you’re in trouble, the first thing you do is issue an apology and pull [the ad], whereas what you should do is get behind it all the more. At the moment, it’s become so dull nobody wants to get into trouble. It will be exciting again when people discover that getting into trouble is actually a competitive edge. You touched earlier on clients and their needing to be able to recognise creativity. In your experience what else separates the great clients from the average ones? They don’t burden you with tonnes of stuff. They realise that what you do, advertising, isn’t marketing. Marketing is marketing. Advertising is the voice of marketing. So you don’t take all marketing’s problems and dump them onto advertising because then all you get is a mood board beautifully shot full of all marketing’s demands. In Predatory Thinking, you tell the story of someone being invited to give a speech called ‘Your Last Lecture’ – i.e. if this was the last lecture you were ever going to give, what would be the most important advice you could pass on? So what is your most important piece of advice? 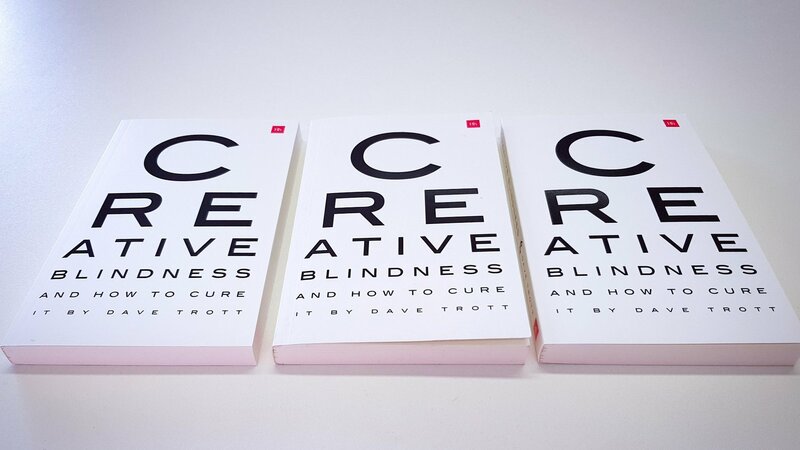 Creative Blindness And How To Cure It is out now.